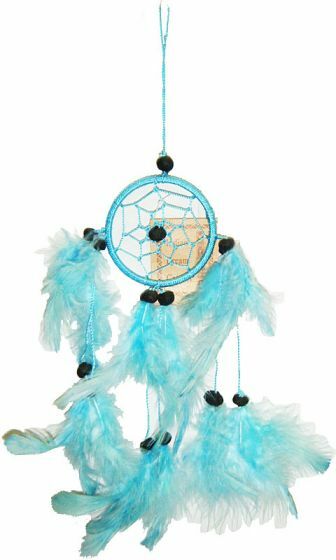 This cute sea blue mini dream catcher is made with feathers, beads, and imitation leather. The round section is about 2 1/2" wide, and overall length is about 5". Great for hanging in your car.